NHS trusts will not reveal until February whether they have redeployed nurses who chose not to receive the flu vaccine this winter, according to NHS Improvement. Last winter, only 68.7% of front-line healthcare workers received the flu vaccination in England. There is no defined target for vaccination of NHS staff in the country. 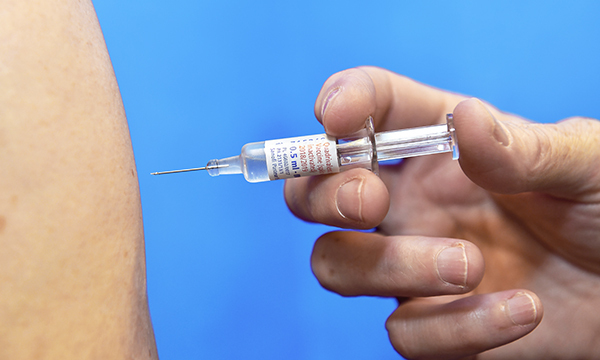 This autumn, NHS England and NHS Improvement (NHSI), which regulates trusts, recommended that employers redeploy staff if necessary to ensure vulnerable patients were not put at risk of flu being transmitted by unvaccinated healthcare workers. A letter from NHS England and NHSI, which was sent to chief executives of NHS trusts, stated that steps should be taken to limit the exposure of patients to flu in ‘higher-risk’ departments such as haematology, oncology, bone marrow transplant services, neonatal intensive care units and special care baby units. The letter advised: ‘In these higher-risk areas, staff should confirm to their clinical director / head of nursing / head of therapy whether or not they have been vaccinated. After the letter was published, the RCN called for more detail about how redeployment would be managed, and warned that moving staff between clinical areas carried its own risks. However, no more detail on the advice has been issued. Figures from Public Health England on flu vaccination uptake for healthcare workers showed that between 1 September and 31 October this year, there was a 0.3% increase compared with the same period last year – equivalent to around 6,000 more healthcare workers receiving the vaccine. A NHSI spokesperson said trusts will not be responding until February about staff redeployment, so the regulator would not know how trusts have implemented it until then. Wales – 56.9% of NHS staff received the flu vaccine last winter. The country’s target is 60%. Scotland – 40% of healthcare workers were vaccinated last winter. Scotland has no target uptake rate. Northern Ireland – 33% of NHS staff received the vaccine last winter. The country has an uptake target of 40%.